Your Dentist in Downtown Los Angeles Says Protect Your Crown! From your gum line, this strong and majestic structure boldly rises with a sense of assuredness and command. Possessing a protective nature, it almost has an air of royalty about it, but what is its name? 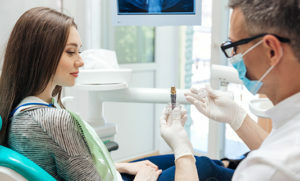 Fittingly, it’s called the crown, and your dentist in downtown Los Angeles has information on how to maintain it after a procedure to replace it. He will also discuss how long your new fixture will normally last. Read on to learn more about this restorative procedure. When it comes to improving your smile, dentists have truly shown to have the expertise and technology to meet your demands. Whether it’s teeth-whitening, bonding, veneers, or another treatment, you can expect the best from your dentist in downtown Los Angeles. Getting multiple treatments isn’t an issue either thanks to smile makeovers. Today, we’ll be going over what exactly that means and how you’ll build a treatment plan with your dentist. Can’t stop snoring? Afraid you have sleep apnea? Your dentist in downtown Los Angeles has the information you need on finding relief in this week’s blog post. If your smile has lost some of its former glory, whether due to oral health conditions or injury, you might be thinking about getting dental implants in downtown Los Angeles to replace your missing pearly whites. You have an exciting journey ahead of you! However, it’s important to pick the right dentist to perform your implant procedure. We strongly urge you to choose a prosthodontist. What exactly is a prosthodontist, and why are they especially qualified to restore your smile? 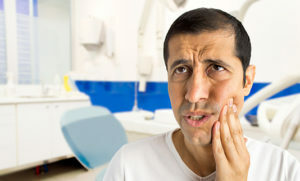 Your tooth has been compromised, and not only are you feeling pain, you also know that it will have to be extracted and replaced. While this isn’t the best news, you’ve heard that there are good solutions for replacing a failing tooth with dental implants. 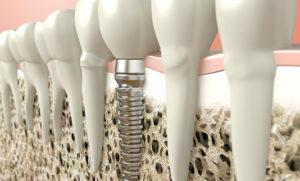 How do you find the right implant dentist? 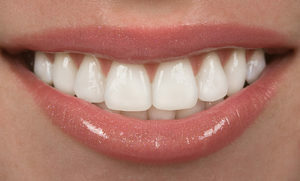 Here are some questions to ask your dentist in Los Angeles about implant dentistry. A full-mouth reconstruction, also described as a “Smile Makeover” can drastically improve a patient’s smile and chewing function. Here is an example of a patient that was referred to our office by another dental professional who was busy with their patient load, and the needs of this patient were more complex than they wanted to take on. This patient presented to our practice after surgical removal of a tumor in the left side of his lower jaw. Because of the large size of the tumor, many teeth were sacrificed during the surgery. After reconstruction of the jaw bone with bone grafts, 3 dental implants were placed. A permanent, 4-tooth dental implant bridge was designed to replace the missing teeth which allowed the patient to chew and properly function again. Here’s everything you want to know about dental insurance and policies. 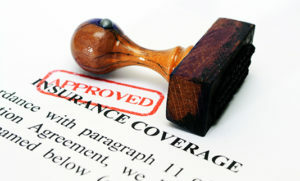 Dental insurance can be a convenient and flexible way to help cover pricey dental costs.